Former apprentice, Jonah Davies, 21 from Blurton has defined his career success through engineering. 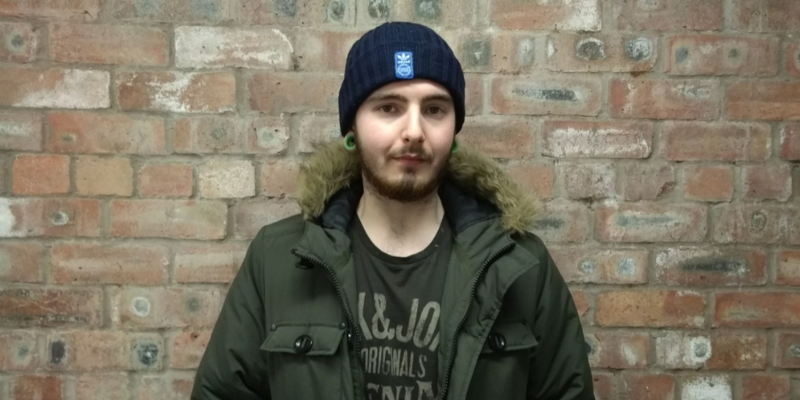 Jonah tells us his story on how his apprenticeship journey with PM Training completely turned his life around. Jonah finished Trentham High School at 16. After disliking the standard school environment he began searching for other options which allowed him to be more hands-on. He was recommended PM Training to start his apprenticeship journey, where he got a second chance. How did you start your journey here at PM Training? Firstly, I was helped into getting my Maths and English grades. This is something that you really need to become an apprentice and PM helped me greatly. Secondly, I went onto the Homeworks vans for about 6 months. This was a great chance for me to gain an understanding of what to expect in the real world of work. The staff were brilliant and so supportive. They really treated me like an adult which is what makes PM such a breath of fresh air at that age. What job sector did you want to get into? I found that I had a passion for Engineering. I got onto a 6 month apprenticeship with the Artworks department at PM Training. It was here where I really picked up the skills which defined my career. The support I received was amazing and I learnt so much with Artworks Manager, Phil Brown. From here, I then progressed onto another apprenticeship, this time it was with local company 4-TEC Steel Fabrications. I was at 4-TEC for a total of 2 years on an apprenticeship and I gained an NVQ Level 2 in Engineering. I gained a full time position here after my apprenticeship which was fantastic and not only that, I managed to pass my driving test and was able to get a works van. "I get really proud when I drive around the local area and see the Artworks sculptures that have been produced by the team"
Do you enjoy working in Engineering? I love it, I'm really glad I did it. I do want to see where I can take my career with my engineering skills and I do want to progress so I'm excited to see what the future holds. Have your experiences with PM Training helped you to progress your career? After moving on from 4-TEC I then gained a position with Don-Bur as a trailer manufacturer and chassis welder. If I hadn't gone to PM Training then I wouldn't be where I am today. PM Training has been the best thing I ever did, they supported me with everything and I am incredibly grateful to them. What advice would you give to school leavers? If you want something hands on or if you want to start earning straight away, just go for an apprenticeship. Apprenticeships are such a good option when leaving school. It has helped me massively. I didn't like the school environment and it was so much more relaxed. Attend an Open Day at PM Training and really see for yourself. If you would like to follow in Jonah's footsteps. Pop along to one of our Open Days. Meet our friendly, down-to-earth staff, ask questions and take a look around.